This is a wonderful book with an inclusive and timely message. Artists have been taking their broken hearts and turning them into art for over a year now, and I suspect this book, published in 2017, was such a project. Beautifully written and illustrated, the main character is an old, glorious red oak tree that is known in the neighborhood as a wishing tree. Each May Day, people hang their wishes there and hope they will come true. This wishtree watches over the neighborhood, and when a new family moves in that not everyone accepts, Red and her friends find a way to band together and help. 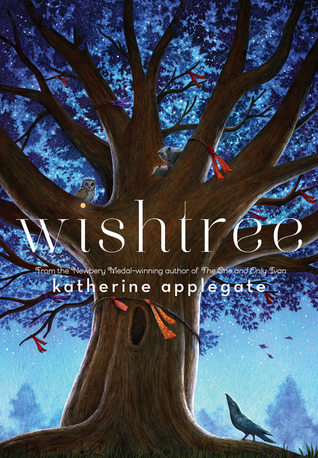 Sign into Goodreads to see if any of your friends have read Wishtree. I’m the friend Laura read this with and her review is spot on! Everyone should read this. 💗 Thanks Beth. What a great book! Always fun to read with you. ❤️I love reading with you!